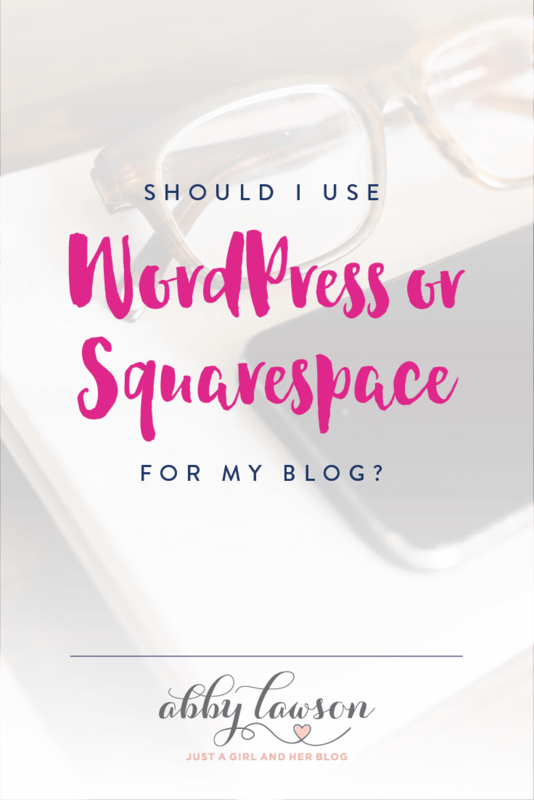 Should I Use WordPress or Squarespace for My Blog? Squarespace and WordPress compete in the same space, but they are very different services with very different strengths and weaknesses.Click To Tweet Ultimately, you’ll have to make the decision on which platform to use for your blog or business, but I hope this article makes your decision a little easier. In full disclosure, Abby and I use WordPress (self-hosted) for all of our sites, but I’ll try to be as unbiased as possible in this comparison! Squarespace is easy to customize without any coding using their drag and drop interface. For example, you can add buttons and email opt-in forms anywhere on your site with zero coding. It’s not as easy to highly customize a WordPress blog without some knowledge of HTML and CSS. WordPress is free open-source software with a huge development community building plugins and tools that are designed to work with WordPress. All WordPress code is freely customizable. This adds flexibility but also complexity. Things don’t always work together perfectly. Squarespace is not open-source, and they have their own in-house development team. This makes Squarespace less flexible but also less complicated. Squarespace has some built in eCommerce solutions for selling physical and digital products on your site. With WordPress you’ll most likely need an outside service or outside plugin. Ultimately you’ll have more control with WordPress, but it will be more complicated to setup. Squarespace eCommerce does not work with PayPal; instead, your customers will have to pay with a credit card through an integrated Stripe payment processing service. With WordPress you can use a wide variety of payment processing options that work with both PayPal and credit cards. Some of these 3rd party options will also work with Squarespace, but you lose the simplicity of their built-in eCommerce solution. Note: With Squarespace you always have the option of directing visitors off of your site and to a separate landing page or payment processing system. For example, you can use a button on your Squarespace site and link to a Gumroad checkout page. Squarespace comes with support directly from the company, including live chat, videos, articles, and a community forum. They are dedicated to answering all of your questions within an hour. With WordPress, there are millions of tutorials and articles, but there is no centralized support. You have to find the information on your own. Typically, support options are available at a theme level with WordPress. If starting from scratch, the learning curve of WordPress is steeper than Squarespace. You can do more with WordPress, but it’s more difficult to learn. Squarespace is easier for a non tech-savvy person, but bloggers may feel limited by the lack of control and customization with Squarespace. The Squarespace post/page editor is WYSIWYG (what you see is what you get). As you design things, you immediately know how it will look. Using the WordPress editor, you really don’t know how everything will look until your preview your post or page. Squarespace has drag and drop content editing. You can position your content any way you want. WordPress doesn’t have that functionality. The Squarespace dashboard looks better and is easier to use than WordPress. Squarespace, with their drag and drop design, makes it easy to add columns, images, videos, buttons, and opt-in forms to your site. You can also add buttons anywhere you wish, including the navigation menu. Squarespace has an announcements bar that you can deploy at the top of your site. WordPress has this functionality, but you’ll need to find and install a separate plugin like OptinMonster or SumoMe. All Squarespace themes are mobile responsive. All (good) WordPress themes are mobile responsive, but some older and poorly designed themes don’t display correctly on mobile devices. The Squarespace style editor allows you to change fonts, sizes, button styles, header transparency, and more. All of these things can be changed with WordPress by editing the style.css file with some custom code. Squarespace has a “Coverpages” feature that makes it easy to create dedicated landing pages. Each cover page has its own unique style editor for a customizable look that is different from your main site. With WordPress, you’ll have to code your own dedicated landing page our use an outside (and sometimes expensive) landing page creator like Instapage, Optimize Press, or LeadPages. Squarespace costs anywhere from $5/month to $80/month depending on the features you select. There are no bandwidth or traffic limits. WordPress is free, but hosting (at any company you choose) will cost anywhere from $5/month all the way up to $80/month or more. Abby and I pay $67/month for our Synthesis hosting but we are locked in at an old rate and are getting an absolute steal! With WordPress, many people decide to purchase their own custom theme or even a theme framework. Our blogs use the Genesis Framework with Brunch Pro theme from Shay Bocks. These are additional fees over and above hosting. Squarespace comes with a few dozen themes to choose from at no additional expense. Squarespace sites are generally faster out-of-the-box than WordPress sites with lower-end hosting. However, WordPress has the potential to be blazing fast with high-end hosting and caching services. You must update your site yourself with WordPress. 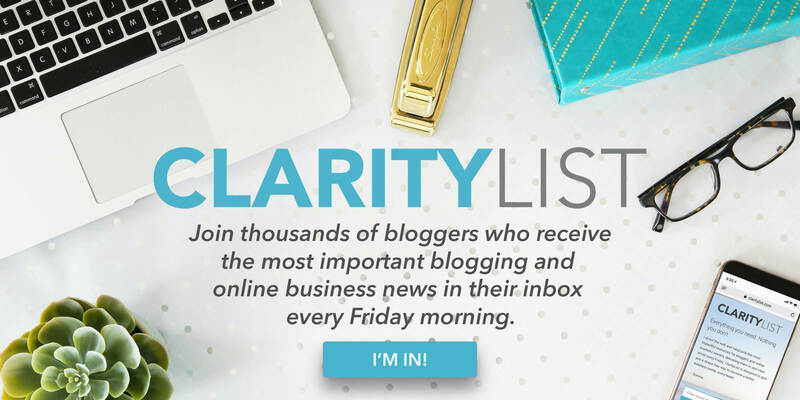 Many bloggers are afraid to click “update” on themes or plugins for fear of something breaking. With Squarespace, all of the updates happen for you, and the company makes sure everything is working properly. WordPress is more vulnerable to hacking than Squarespace. It’s up to the individual to implement site security measures. Our blogs have been hacked in the past and infected with malicious code… it’s not fun. Squarespace and WordPress both use industry standard SEO practices out of the box. Using various tools, services, and plugins, an SEO guru will most likely be happier with the SEO options that WordPress allows. Deciding between Squarespace and WordPress comes down to this: Do I want the increased control and options with WordPress, or do I want the simplicity and ease-of-use that Squarespace offers? There’s no perfect answer here. I encourage you to do some research on your own and then make a decision and go with it. I have literally talked to people who were still deciding between the platforms months after they decided to start a blog. Don’t be indecisive! It’s worth restating that the vast majority of successful blogs use WordPress. If in doubt, go with the industry standard. Squarespace is gaining market share, but it’s unlikely that they will dethrone WordPress anytime in the near future.